Bicester Vets is very pleased to introduce a wonderful new Specialist Service at our practice in central Bicester. 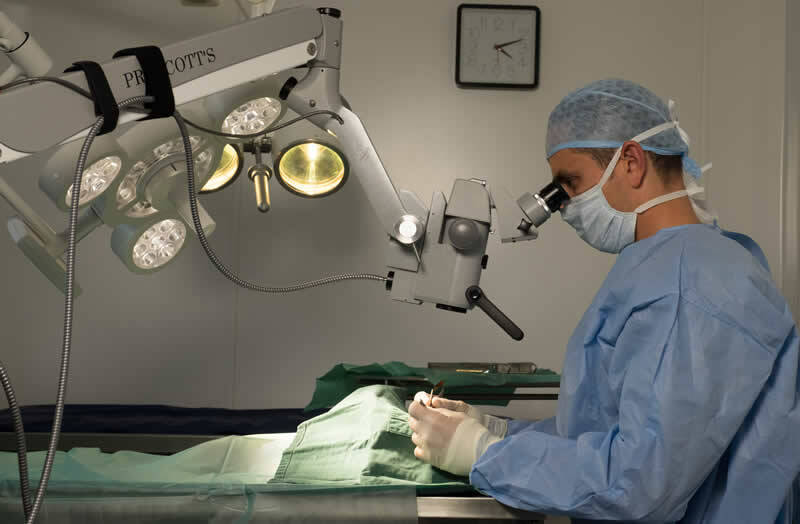 Every Friday Mike Rhodes will be visiting to perform referral consultations, examinations and eye surgery right here at Bicester Vets. 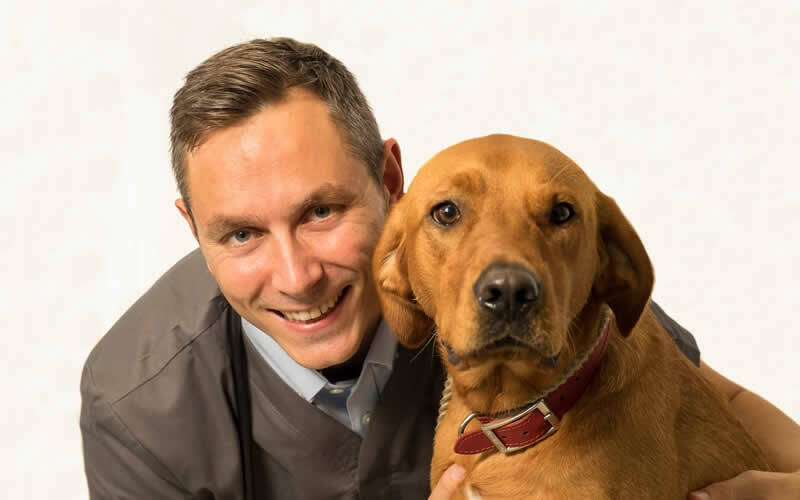 Mike is the founder of Focus Referrals and he is a recognised RCVS and European Specialist in Veterinary Ophthalmology. This means that he has achieved the highest level of recognition of expertise that can be achieved in clinical veterinary work. 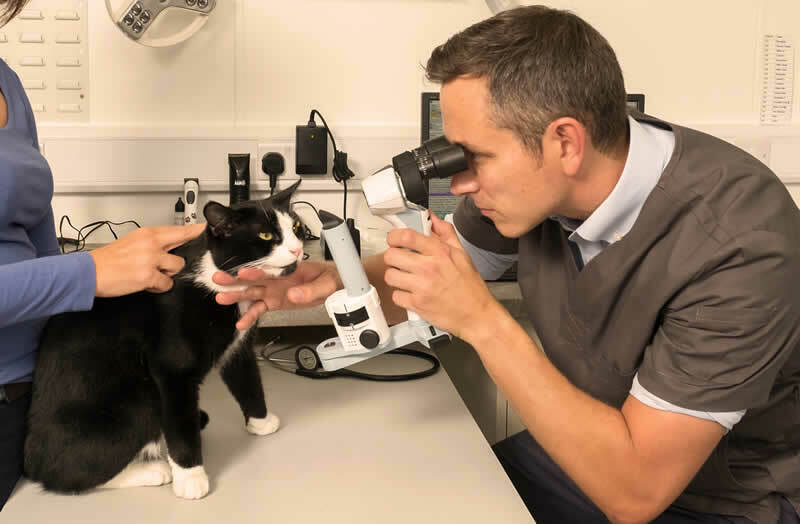 Mike Rhodes previously worked as a referral veterinary ophthalmologist (Eye Specialist) at Willows Referral Centre in Solihull for nearly 10 years. Mike is also an appointed eye panellist which means he can issue official BVA/KC/ISDS eye test certificates for the Eye Scheme. Breeders wanting to certify their breeding dogs prior to mating can have this service performed quickly and economically at the practice. Mike aims to offer his patients, pet owners and referring vets a personal, high quality referral service within a first opinion clinical setting at more affordable prices. For more information about Mike Rhodes and Focus Referrals click here. 1. For routine follow up appointments for an ongoing case which Mike has dealt with before you can book online. 2. For routine Eye Screening Tests on the BVA/KC/ISDS schemes you can book online. 3. For new cases where your Vet has recommended you see a specialist then your Vet Practice should make the booking online. 4. If you are unable to book online or need more assistance then please call the practice on Bicester Vets 01869 252077. And for any further information about the New Ophthalmology Specialist Service at Bicester Vets – please give us a call.